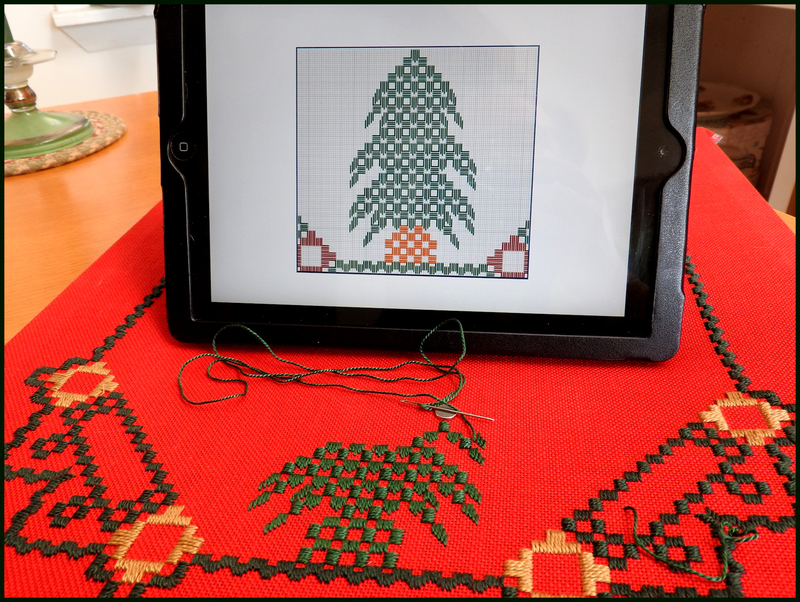 Snowmen Nestled in Spruce Trees mat length is a Hardanger counted needlework presented within a 50-plus page booklet available in printed and Kindle formats. 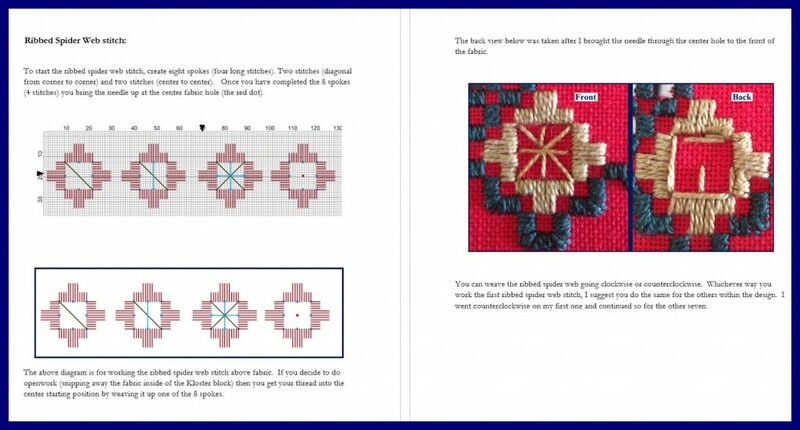 This design utilizes traditional Hardanger stitches: satin, Kloster blocks, buttonhole edge and openwork enhanced by picots. 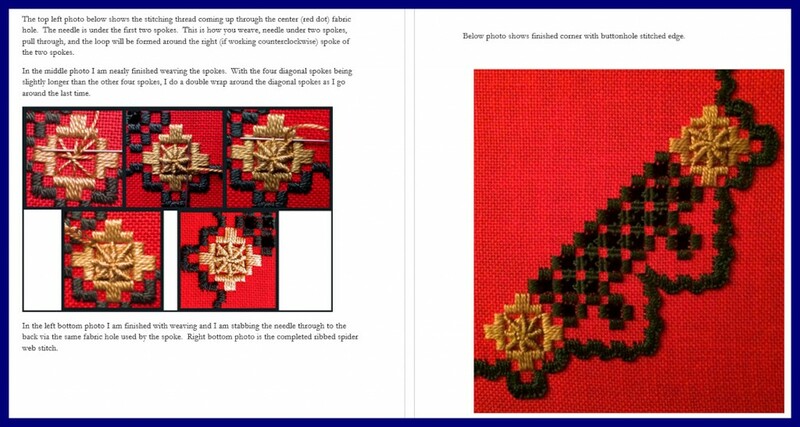 Ribbed spider webs, a surface embroidery stitch, provides dimensional aspect to the rich gold color medallions. Snowmen Nestled in Spruce Trees (mat length) design is 358 w by 285 h.
Worked on 22 count the finished size is approximately 16.25 by 13 inches. My booklet Snowmen Nestled in Spruce Trees (mat size), 50-plus pages in length, is offered in e-booklet format and printed as a 8 by 10 inch paper bound booklet. 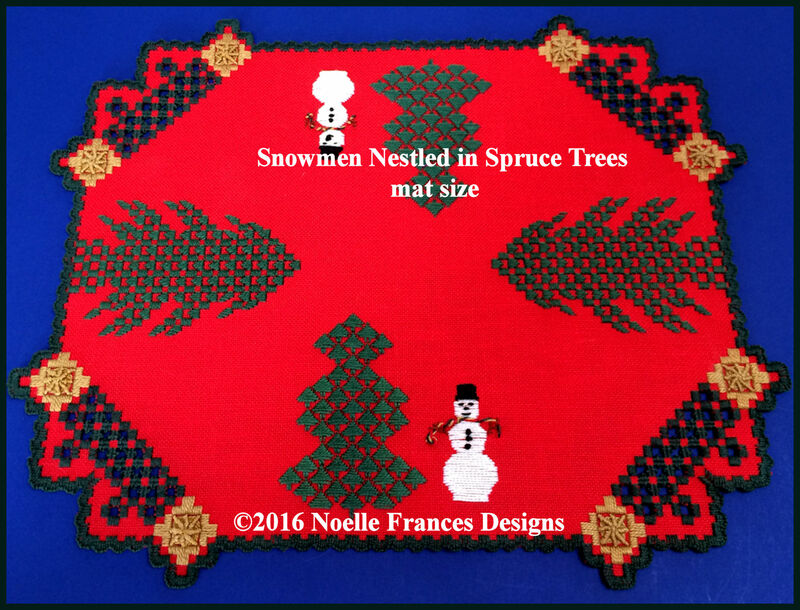 Click the below photo for ordering or to access the Look Inside feature to view a few pages of the booklet for the Snowmen Nestled in Spruce Trees (mat length) design.